Fiber in custard apple lowers bad cholesterol and increases good cholesterol in the body. It also prevents the absorption of cholesterol in the gut. Sugar exists in many forms besides just the white powdered cane sugar. Sugar in all of its forms (including corn syrup, honey and maple syrup) affects the body in the following ways. Sugar increases bad cholesterol and triglycerides and also stresses the liver. Though sugar in some form is naturally present in many foods, by itself, it contains no nutrients, no proteins, no healthy fats and no enzymes. Just empty and quickly digested calorie that actually pull minerals from the body during digestion. Jaggery is a natural sweetener and good source of nutrients. Also provides energy over an extend period of time. Jaggery aids in digestion and reduces constipation. Also helps in cleaning respiratory tracts, lungs, food pipe, stomach and intestine. Jaggery with water has cooling effect on body during summer. 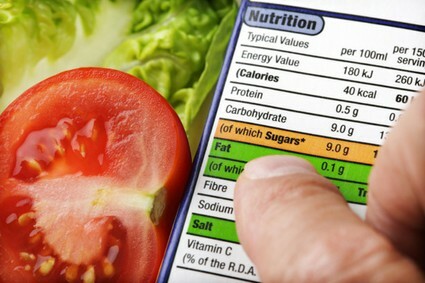 Fact: What counts as high fat and low fat on food labels? High: more than 17.5g of fat per 100g. May be colour-coded red. Low: 3g of fat or less per 100g. May be colour-coded green. Myth: All fats are equal and equally bad for health. Fact: Saturated fats and Trans fats are bad because they raise your cholesterol and increase risk for heart disease. But monounsaturated fats (MUFA) and polyunsaturated fats (PUFA) are good as they help in lowering cholesterol and reducing the risk of heart disease. Myth: Lowering the amount of fat intake is what matters the most. Fact: The mix of fats that one eats, rather than the total amount in the diet is what matters most when it comes to your cholesterol and health. The key is to eat more good fats and less bad fats. Fact: A “fat-free” label doesn’t mean you can eat all you want without consequences to the waistline. Many fat-free foods are high in sugar, refined carbohydrates and calories. Myth: Contribution of fat deposited on the body is the same. Fact: Where one carry the fat matters. The health risks are greater if one tend to carry weight around abdomen, as opposed to the hips and thighs. A lot of belly fat is stored deep below the skin surrounding the abdominal organs and liver, and is closely linked to insulin resistance and diabetes.